IT seemed fitting that we were walking in the massive shadow of the Cruachan Dam on the night of the Beaver Moon. 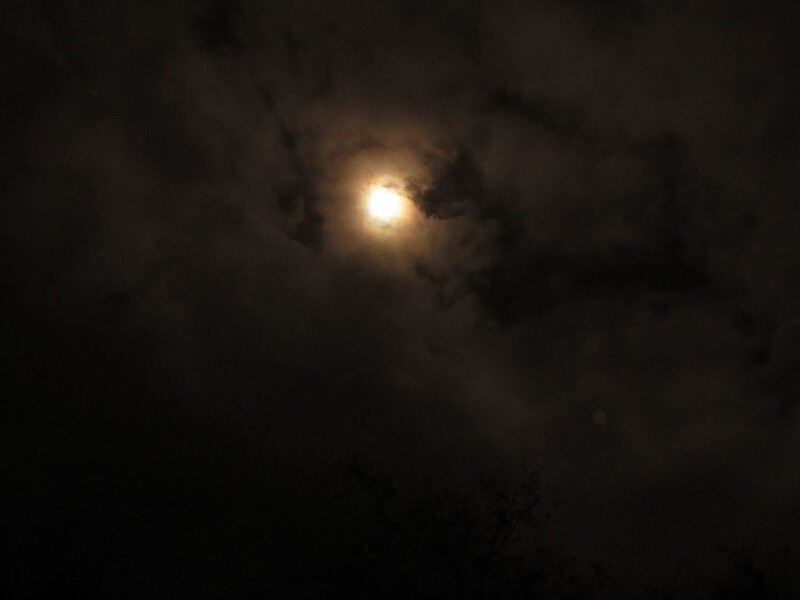 This was the penultimate full moon of the year. It also felt like the darkest night walk of the 12 so far, the only one in which the head torch was on for the full duration. I must admit to a huge sigh of relief that this one proved so lacking in drama; any walk in late November is in the lap of the gods and there was always the nagging doubt that this could be the one where I came undone. The moon's name refers to this being the time of year when the beavers built their winter dams. It was also the last chance to hunt the animals for meat and pelts before the lakes were frozen over until the spring. The longer hours of darkness and the timing of the full moon – allied with a busy schedule of book talks and the Dundee Mountain Film Festival – meant the chances of catching spectacular views were remote. Sunset was too early and sunrise too late; this was simply a case of reaching the summit of Ben Cruachan and making it safely back down. 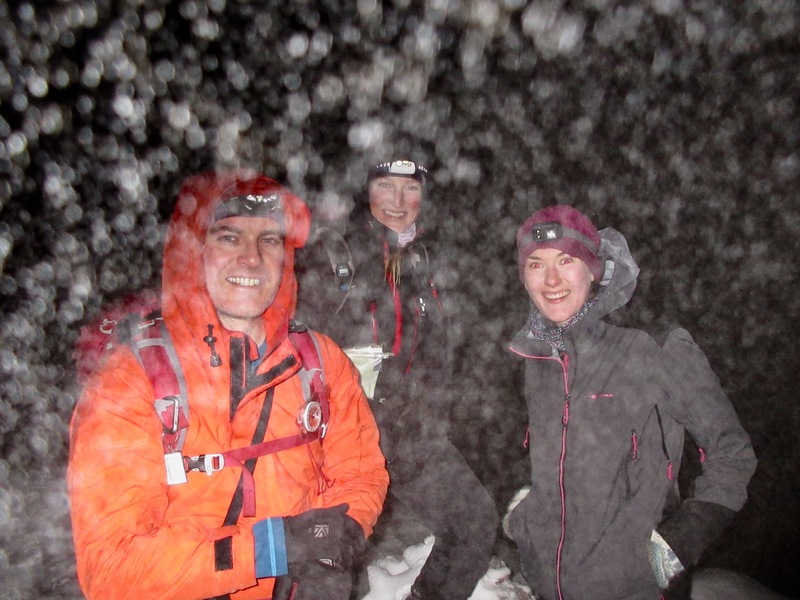 I was accompanied on this latest mission by Rob and Katrina from The Scots Magazine, and Rachael, a New Zealander who works as a mountain guide in Scotland. Rachael had walked at night with me before at the Arran Mountain Festival, but for Rob and Katrina this was a new experience. The Scots Magazine has been publishing a regular blog on my moon walk progress online since the start, and this was a chance for Rob and Katrina to see for themselves how it was. Either that, or they were just making sure that I really was climbing these mountains as I had said and not just photographing a pile of rocks in my garden in darkness and poor visibility. Wet and windy weather was sweeping in from the east, but the forecast was better the further west you travelled. I had to keep reminding myself of this as I drove through constant rain all the way to our meeting point in Tyndrum. There was still a touch of moisture in the air as we drove out to the starting point and there was a lively breeze that suggested we would face gusty conditions high on the ridge. We went with full winter gear plus crampons and axes but within ten minutes of pushing up through the trees, layers were being stripped off. I began to wonder if I had miscalculated with heavy winter trousers. 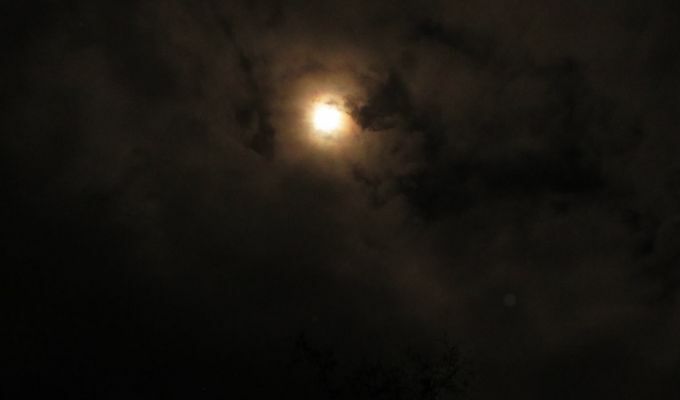 The moon broke through the cloud cover a few times, lighting the bare, high branches like witches' fingers, and filling us with a sense of optimism and possibility. It would be prove to be nothing more than taunting, however. The cloud line smothered the ridge, no silhouetted spikes of this marvellous circuit of peaks on show. As we made our way up to the col, there was a debate as to whether the whiteness on the slopes ahead was clinging mist or snow. The more we rose, the more obvious it became there was a patchy covering of white. We were greeted at the col by a blasting wind being funnelled through the gap, but it eased immediately as we turned north for the final steep push to the summit. The snow got deeper with every upward metre, the path invisible in places, the rocks of the boulder field rimed and slippy. Every step became awkward, a constant need to seek out foot placements. It's easy to turn an ankle in this terrain. The great advantage of steep ascents is that they tend to be shortlived and we were soon standing at the sawn-off trig pillar. There was little to see, the slopes falling away on all sides disappearing into the blackness. We made our way carefully back down through the boulders, at one point catching a few hefty sideswipes from a sudden and scouring wind, but the descent to the dam was mostly uneventful. We had timed it perfectly; we had stayed dry, and we were just in time to be chapping at the door for a well-earned breakfast in Tyndrum. Now my eyes have turned north for the final moon of the year, the Cold Moon, and the summit of Ben Hope on December 22. It's fair to say that finding a mountain to match the Cold Moon would not be be difficult in Scotland – virtually any mountain will be cold at that time of year. But I thought it would be perfect to finish the year on hope, so please keep your fingers crossed for me. Footnote – The following day I was contacted by someone who said he had spotted our lights rising steadily on Cruachan around 2am. Even away from CCTV hotspots it seems it's hard to remain undetected.